Inger Andersen, born in 1958 in Denmark, is the 15th Director General of the International Union for Conservation of Nature (IUCN), appointed in January 2015. Ms Andersen has more than 30 years of experience in international development economics, environmental sustainability, and policymaking, as well as in designing and implementing projects and generating on-the-ground impact. She brings a passion for conservation and sustainable development, which has been the focus of her previous leadership roles at the World Bank and United Nations. Most recently, Ms Andersen held the position of Vice President of the Middle East and North Africa at the World Bank, and was responsible for leading the Bank's strategy as well as policy and operational engagement in the region. In addition to overseeing the Bankâ€™s lending portfolio, she mobilised substantial government and donor resources for fragile and conflict states and development priorities. Prior to this, from 2010, Ms. Andersen was Vice President for Sustainable Development at the World Bank and Head of the CGIAR Fund Council. In this position, she led the technical stream supporting the Bankâ€™s work with developing countries to promote environmental sustainability, provide key infrastructure investments, enhance food security, develop social accountability, assist countries in disaster risk management, and deliver support for climate change mitigation and resilience. In her professional career, Ms Andersen has played a key role in supporting riparian countries on international water management and hydro diplomacy, including work on the Jordan River and the Dead Sea, the Nile River, the Senegal River, Lake Chad and the Niger River. Previous managerial roles at the World Bank focused on water, environment, and sustainable development with a special emphasis on Africa and Middle East. Previous to the World Bank, Ms Andersen worked at the United Nations for 15 years, starting in 1987 at the UN Sudano-Sahelian Office working on drought and desertification issues, and in 1992 was appointed UNDPâ€™s Water and Environment Coordinator for the Arab Region, where she led on defining actions for the Global Environment Facility in the Arab Region. In the early 1980s, Ms Andersen lived and worked in Sudan for six years, including four years with an NGO focused on drought, emergency relief and rehabilitation. Inger Andersenâ€™s educational background includes a BA from London Metropolitan University North and a MA degree from the School of Oriental and African Studies at the University of London with specialisation in development economics. 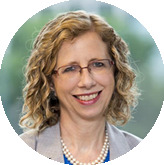 Ms. Andersen serves on a number of advisory councils and boards including the UN Global Compact Board and UNEPâ€™s Financial Inquiry Advisory Committee. Ms. Andersen is an International Gender Champion.